The company SUPROTEC EU (ATOMIUM) is gaining momentum in Central Europe! The second exibition this year was in Erfurt Messe Auto Exibition! The traditional demonstration of the car running without oil struck this time Central Germany. 25-27th January ATOMIUM was presented at ERFURT MESSE in Germany! Atomium Germany participate at new exhibition at Erfurt Messe 25,26,27th January! 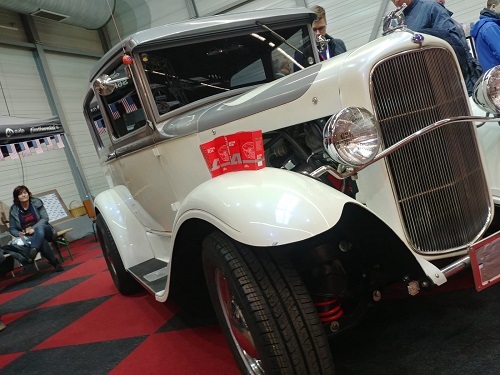 We were presented by our distributor in Germany – company Meintriebwerk.de, with Atomium stand demonstrated the car running without oil during the whole exhibition. This show with opened engine working in extreme conditions is possible only in a way of using Tribo Technology products! Exhibition again shows great interest among those who are already familiar with the products of Atomium, as well as those who have seen it for the first time! The most important thing is that this was a real visual demonstration of the Atomium additives efficiency!